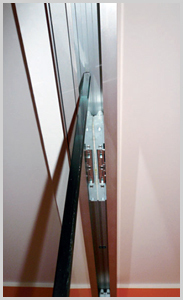 PICO is a further evolution in the glass sliding system product range. The upper track of PICO is available in two different versions with and without side fixed panel. The set of clamps and stoppers are very small and totally hidden in the upper track. Pico is an ideal solution for false ceiling installation. 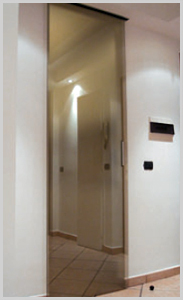 In fact the glass panel can be easily hung and adjusted from below the false ceiling level. 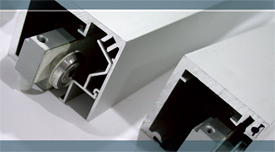 Glass panel weight should not exceed 150Kg and 12mm thickness. Glass cut outs are required to assure maximum security.